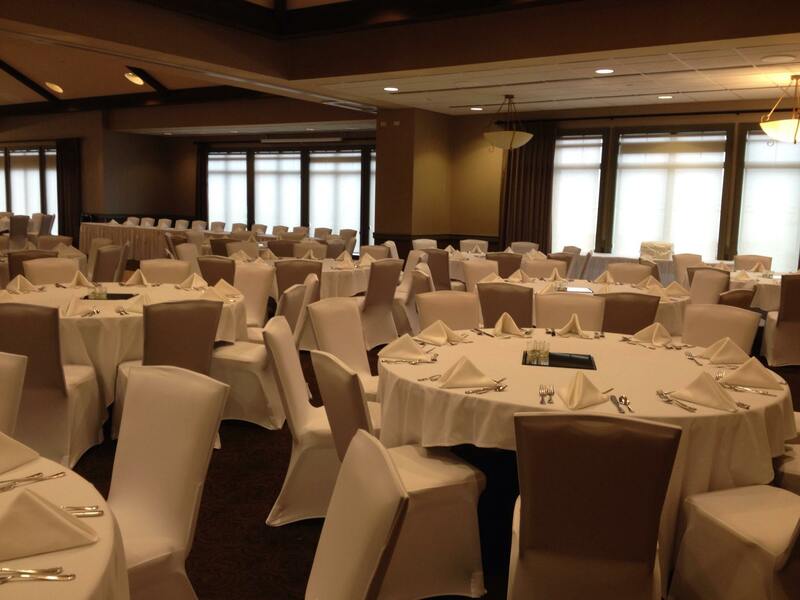 Covering Chairs at Stonewater Country Club! The first weekend in April we had the pleasure of transforming the ballroom at Stonewater Country Club for a spring wedding! The space at Stonewater was elegant and bright, with beautiful windows that let just enough light through to make the chandeliers sparkle. The bride and groom were hosting over 200 people and wanted their guests to really shine in the room. The white covers the bride picked helped to emphasize everything else in the room and really made it come to life. Check out the transformation this room goes through by just adding covers to the chairs. It really is amazing!